A diagnosis of inherited retinal dystrophy can be rather daunting. Patients diagnosed with neuroretinal degeneration face the prospect of losing their sight, sometimes still at a young age. The German Research Foundation (DFG) is now providing funding within a Priority Programme to experts in vision research and clinical ophthalmology throughout Germany in a bid to develop gene and cell-based therapies for treating the currently incurable conditions which can lead to blindness. Among those to benefit from the funding is the research group led by Prof. Dr. Jan Kremers and Dr. Cord Huchzermeyer at Friedrich-Alexander-Universität Erlangen-Nürnberg (FAU). The scientists working at the Department of Ophthalmology at Universitätsklinikum Erlangen have received funding worth 400,000 euros. In a project at the cutting edge of science, they are making a major contribution to developing innovative procedures for monitoring the newly-developed therapies. The human retina is a complex structure of various cells and layers. As the sensory part of the eye, it converts light impulses into electronic impulses and passes them on to the optical nerve. However, that is by no means all. It also processes signals to allow properties such as colour, brightness and temporal patterns to be coded before they are relayed. If the retina is affected by disease, it can lead to a significant visual impairment, or even a total loss of sight. Many of these diseases are hereditary, such as retinitis pigmentosa, macular degeneration and rod-cone dystrophy. Priority Programme SPP 2127 ‘Gene and cell based therapies to counteract neuroretinal degeneration’ takes an interdisciplinary approach and consists of a nationwide consortium of researchers from the areas of ophthalmology, visual perception, molecular biology, gene therapy, cell therapy, pharmacology, immunology, vectorology and physiology. Over the next three years, funding worth a total of approximately eight million euros is to be made available for developing therapies for currently untreatable inherited retinal disorders, with the option of funding possibly being extended for a further three years. At the same time, clinical examination methods aimed at measuring vision in more detail than ever before are to be established. The group of researchers from Erlangen has an important role to play in developing these innovative procedures for monitoring treatment. 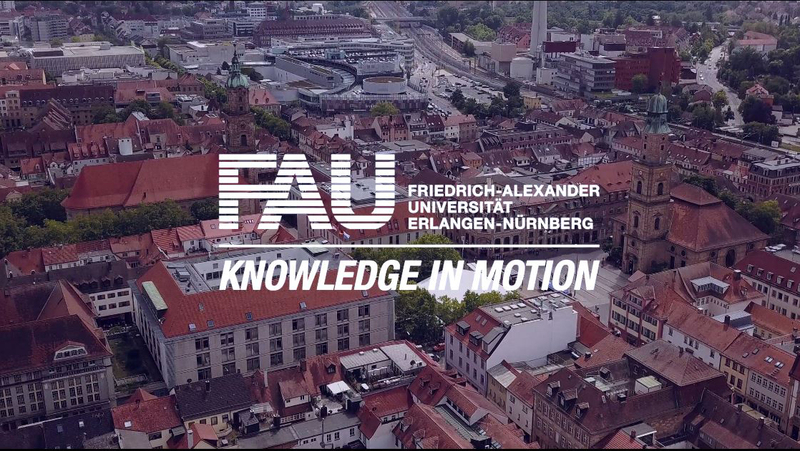 Sight tests aimed at examining visual perception under very specific conditions (known as silent substitution) have already been developed, validated and established as part of fundamental research at FAU, but have not yet been used on ophthalmic patients. The technique they use is based on the ability to measure the activity of photoreceptors and their connected nerve cells in perception tests with flickering stimuli in healthy people and patients, sorted according to cell type. The stimuli are differentiated according to colour and intensity. Scientists can then isolate the responses of the rods or one of the three types of cones. If the test person perceives a stimulus, the team of researchers know that the photoreceptor they have isolated is responsible for perception. If the threshold, in other words the intensity of the stimulus at which it can still just be perceived by the test person, is higher in one patient than in the control subjects, the scientists assume that the visual pathway connected to this type of photoreceptor must be affected by the disease. The method can also be used to monitor the success of treatment. If treatment is successful, it follows that the threshold of the patient receiving the treatment ought to go down again. The stimuli are created using a light-emitting diode (LED) simulator, which has been adjusted and programmed specifically for this purpose in the laboratory and can be controlled extremely accurately via a PC. The advantage of LEDs is that their colour and brightness can be set extremely accurately. The electrophysiological laboratory at the Department of Ophthalmology has exploited these advantages to obtain highly accurate measurements of perception thresholds. These allow detailed information to be obtained concerning the photoreceptors and even the connected visual pathways. The experiments do not only show where and what has changed in the retina as a result of the disease, they also show how it has changed.